MAN !! 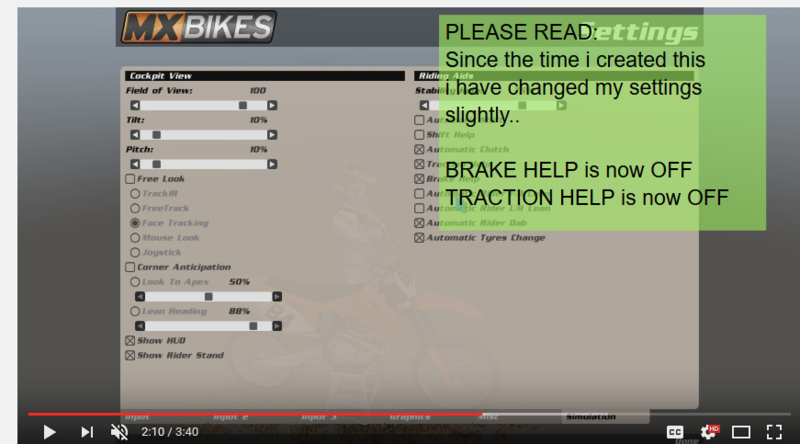 You play with traction help and brake help ON ?! Really ? One man once asked a wise(r) man which settings he used... The wise(r) man responded with brake help and traction help on..
Me? That must have been some time ago.. Beta 2 maybe? I think maybe next series enforce the server to use "no_aids"
Honestly, I think ANYTHING should be allowed. 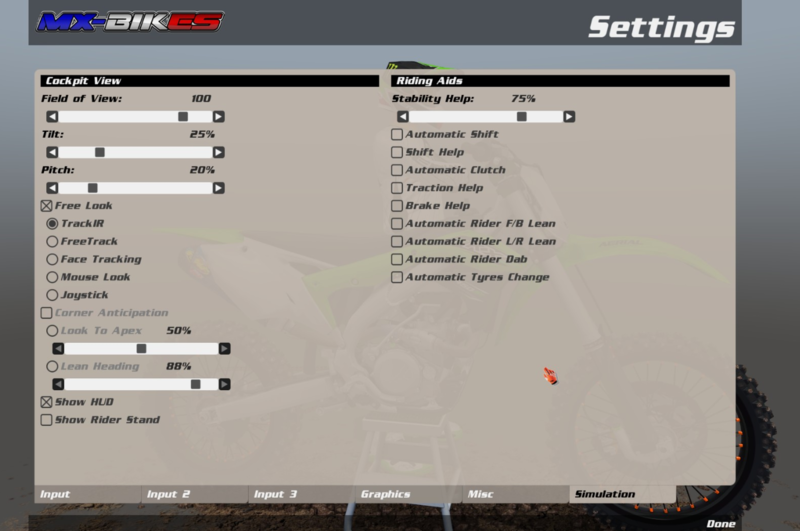 You can be faster with traction/brake help off if you're good, in real life they have Holeshot Devices, Recluse Clutches, and now bikes even have traction control. With the lack of people racing anyways, and obvious bugs with the physics, there should just be a 250/450 Class, and any settings or bikes within that class should be choice. But I don't run those assists, so I guess I could be fine either way. Sorry gdub I remember it being longer ago. Yup, I used to use the assists a lot more mainly because of the physics issues. I found they made mxb more instantly accessible especially when all I wanted to do was build tracks. Since the improvements to physics though the brake and traction went off ages ago.. At least longer ago than the first GTX series. its for the best eh..
BTW shift help is tolerable I guess. Act like a rich man and get someone to change your tyres for you. Ya know I've never disabled that, exactly what does it do? Each time you go to the garage you get new tyre (same type of the one you've on). Just be careful when you use this on a server that allows a limited number of tyre sets per event ... but overall, it's a handy option.